It is expected to send thirty-two byte ICMP packets to any machine, ping, & nbsp; It is an indirect test meter by providing the return of the package. 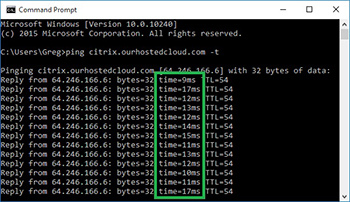 The ping time is usually determined by the length of time that data is transmitted between your computer and the server on your side. If you notice that your ping is 30 when you play a game, it actually means that the data from your computer reaches the counter server in 30 milliseconds. & Nbsp; The more remote the server you are transferring data to, the more time it takes for your data to reach the opposite server. The video will make faster'll be talking with a friend in Turkey, the waiting period will take more than a video call with your friend abroad will even freeze. & Nbsp; The distance is one of the most decisive points for internet ping meter. In addition to the distance between you and the server, the connection type you use also has a significant impact on ping. As an example, the technology has improved and the worst ping value is at & nbsp; 3G. & Nbsp; If 3G is used, there will be a considerable delay from the very beginning until the packets are transmitted wirelessly until they reach the base station. It will be immediately noticed that ADSL is much faster when compared to 3G. For example, while 3G causes a delay of fifty-three milliseconds, ADSL causes a delay of only thirteen milliseconds. As can be seen, 3G can cause a delay of more than four times. You can browse our site for a faster ping meter. Nowadays, telephones, televisions, tablets, computers have become completely dependent on the internet, the internet can not work. Phone calls, text messages, video calls are all done over the internet. Instead of using most home dish antennas, it uses the internet to use more channels and make better use of subscriptions, record television broadcast when needed, and play back and forth. Games on computers, programs are completely online. All this dependency has raised a very important issue. The internet is fast. The fact that the internet is fast does not mean anything alone. Yes, the more you download the speed of download, the faster your download speed or the speed of loading your videos, the more important parameter is. The term PING directly affects your internet speed. Ping is the name given to the time between two signals in the internet signal from your internet provider to the modem. As the ping increases, the times between internet signals increase and this causes internet disconnections. For this reason, when checking the speed of an internet connection, a speed test should be done with a ping test . Ping will directly affect the speed of the connection speed of the internet while the low internet speed has no effect on ping. What happens if Ping falls? When you test the speed of your Internet connection, you can also see the ping value. If the ping number is increased, disconnections will occur in your internet connection. For example, videos will not be loaded quickly and there will be intermittent freeze. Even though web pages are loaded, there will be a long wait that will not open. At the same time, if you are an online game enthusiast, you will miss the events that are constantly happening, your character will never react when you press the button. The ping value should be as low as possible to ensure that all these functions are healthy. Unfortunately, our country's connections with the outside are pretty bad. For this reason, if you want to connect to a server, game or website from abroad, you should select the server from abroad while performing the speed test. For example, it could be Europe. In this case, ping values ​​in fiber connections vary between 50-100, while in other connection types it can be up to 150 milliseconds. This ping value is noticeable for the outside-facing compared to the outside, but it does not make a significant difference unless it is very professional for you. Hiztesti.Online || 2017-2018 || All rights reserved, unauthorized copying is prohibited. It measures the connection speed of your service provider with the Internet speed test.